Many people suffer from Insomnia and, for many it can be debilitating. Sleep deprivation can negatively affect our lives, mentally and physically. A sleep deprived person is thought to be as impaired behind the wheel as someone who is intoxicated. Many people try various over-the-counter and prescription medicines to induce sleep, but there is the valid concern of becoming addicted, not to mention the foggy feeling in the morning, making it difficult to begin and proceed with one’s day. For the insomniac, this unpleasant cycle often perpetuates, often with little relief from the symptoms of sleeplessness or the side effect of the medication. 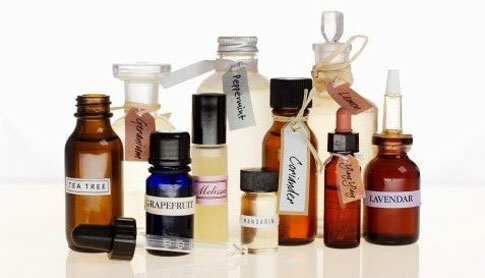 Aromatherapy can be effective in inducing sleep. As important, essential oils can assist one in sleeping deeper and staying asleep longer. Most importantly, there are no side effects such as substance addiction or next-morning drowsiness often the result of taking prescribed or over-the counter medications. Lavender is an effective treatment for insomnia. It requires hundreds of lavender blossoms to produce a small amount of essential oils, but the results are far worth the efforts. A few drops of lavender, placed in a diffuser, a small amount of water or oil, added to a warm bath or even in a cup of tea, can quickly leave you calm and relaxed, ready for a good night’s sleep. The beautiful scent of lavender wafting through the room alleviates all anxious thoughts and by the time your head hits the pillow, you’ll be ready for a good restful night sleep. If you thought marjoram was only for Mama Leoni’s tomato sauce, you’d be mistaken. Marjoram is indeed a versatile herb used in many recipes, but it is also has powerful sedative effects. It will not only help one feel relaxed, but if suffering persists from tight muscles as a result of a stressful day or anxiety, marjoram can ease those tension-filled muscle spasms. It’s considered warming and alleviates disrupted digestion which can contribute to sleeplessness. It is known to lower blood pressure and slow the heart rate, all conducive to a good night’s rest. Joseph Miller, an Eighteenth Century herbalist said, about Melissa (also referred to as Lemon Balm), “It is good for all disorders of the head and nerves; cheers the heart, and cures the palpitation thereof, prevents…hysteric disorders…” Reading that alone would help anyone sleep! Melissa has the scent of lemon lollipops, so if that smell appeals to you, a few drops as a tea or in a bath could produce the fantastical thoughts of which dreams are made. Insomnia can make one’s life impossible to enjoy. Bedtime becomes a cause for stress as the insomniac dreads the inevitable tossing and turning all night long, night after night after night. Essential oils can provide a miraculous reprieve from that foreboding and misery. Wonderful methods of diffusion such as a few drops on a plate, placed over a candle, immersing oneself in an relaxingly peace-inducing aromatic bath or a just few drops on one’s pillow before going off to sleep. These are things to which one can look forward before bedtime. Bedtime no longer has to be dreaded or a cause of trepidation. The former insomniac can finally look forward to sleep and to peaceful and life- balancing dreams, all from just a few drops of magic.